This luxury home Built by Wolf Corp. has all of the modern and sophisticated amenities expected by savvy buyers. Nestled among the rolling hillsides and many trees that overlook the City off Hyde Park Rd , this custom residence boasts forever SW and NW views from an open living/dining area, single level living, flagstone & hardwood flooring, and a gorgeous Chef's kitchen. The gallery entry way leads to three spacious bedrooms, eat in kitchen, media/additional living room, and a master suite filled with natural light coming from over-sized windows and skylights. 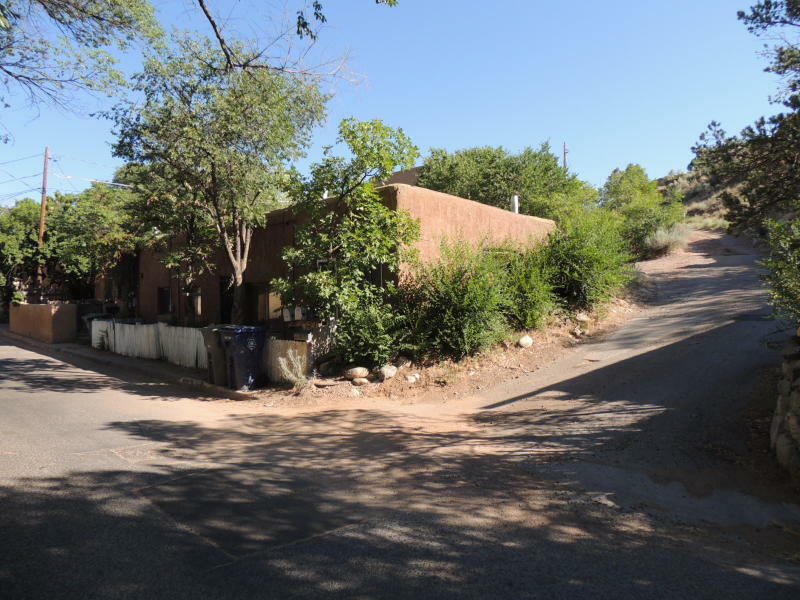 Downtown Condominium: Private compound steps to Canyon Rd! This beautiful property is located just steps from Canyon Rd, East Alameda, and yet feels private and secluded. 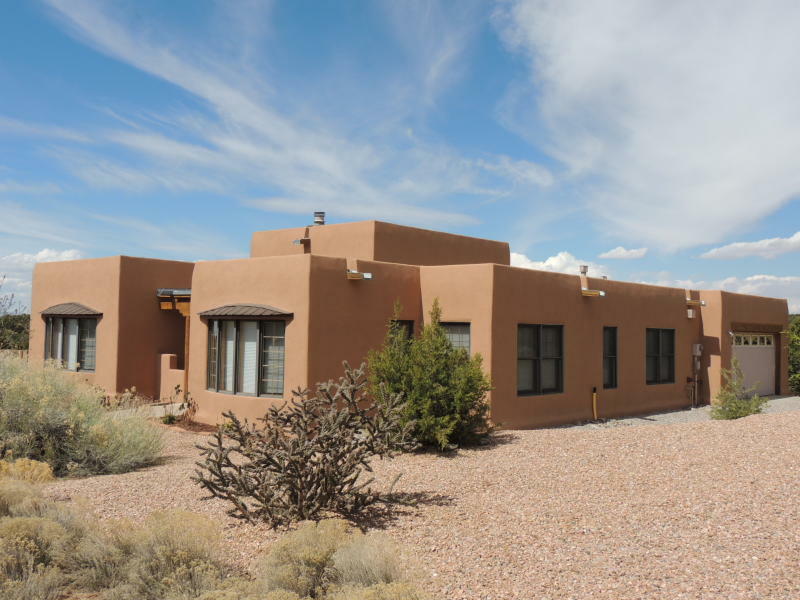 There are four bedrooms, two are located downstairs, four bathrooms, a spacious living/dining room, and plenty of Santa Fe style throughout. Latilla ceilings, brick floors, 3 fireplaces indoors, and updated kitchen and baths make this condominium a peaceful respite in the middle of the action of area galleries, restaurants, and walking paths along the river. Terrific Home, Central location on corner lot! This terrific home on a corner lot has been Pre Inspected and is ready for new owners. Spacious rooms including large eat in kitchen, formal living area with Kiva fireplace, additional living area with gas stove (for family, guests, media or studio space and more), huge fully-fenced back and side yards, and a single car garage. Newer windows, doors, paint. 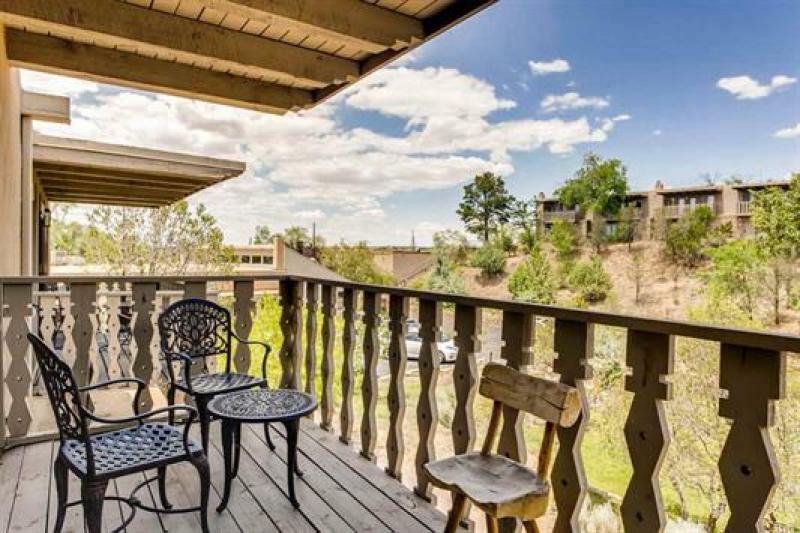 Darling Turn Key Condo for Sale- Downtown Santa Fe! 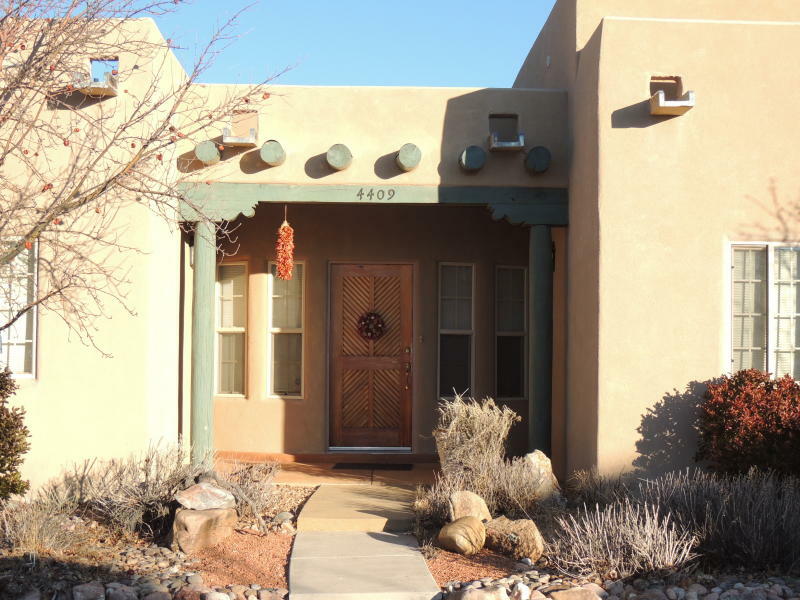 Santa Fe Style Abounds in this cute 1 bedroom condo located within a short walk/ride/stride of the Historic Plaza. Completely remodeled, kiva fireplace, full kitchen, sleek modern finishes, refrigerated AC. Custom built solid wood doors, extra large cabinets, high end furniture, and open floorplan add to the welcoming atmosphere and easy use of the space. 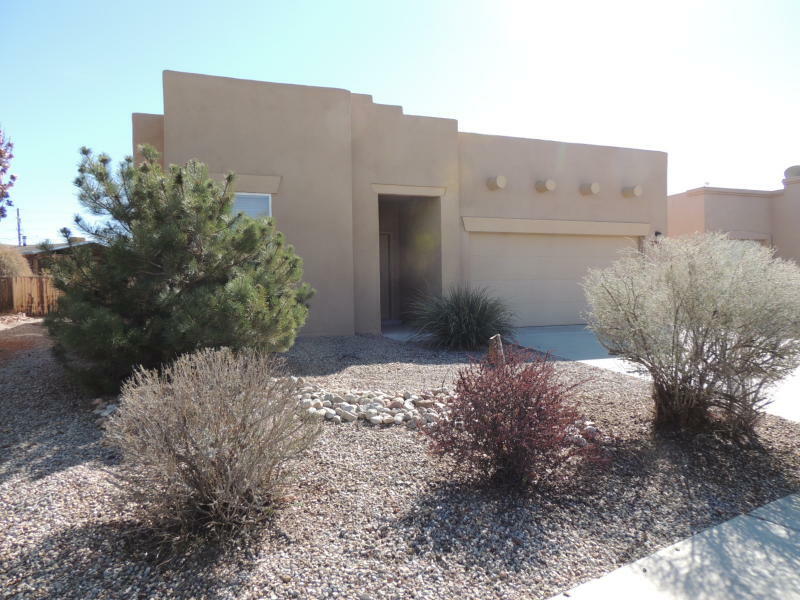 Beautifully remodeled home near the Los Vaqueros subdivision across from Eldorado. Features include: New wood-laminate flooring throughout, updated bathrooms, newer roof (2015 on studio only), paint, appliances, wooden plantation-style shutters, leaded glass doors, landscaping, and a finished studio with full bath & kitchenette where a barn used to be! 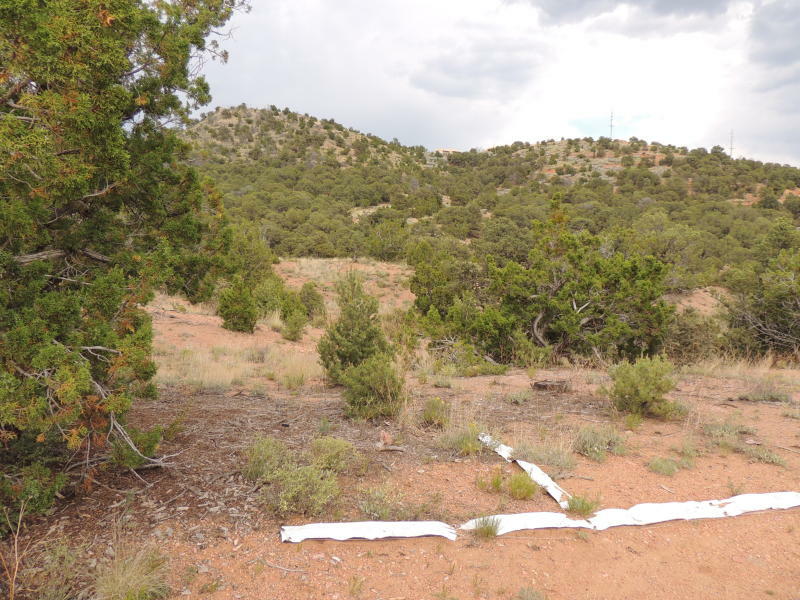 Beautiful View-lot near Abiquiu, LAND FOR SALE! 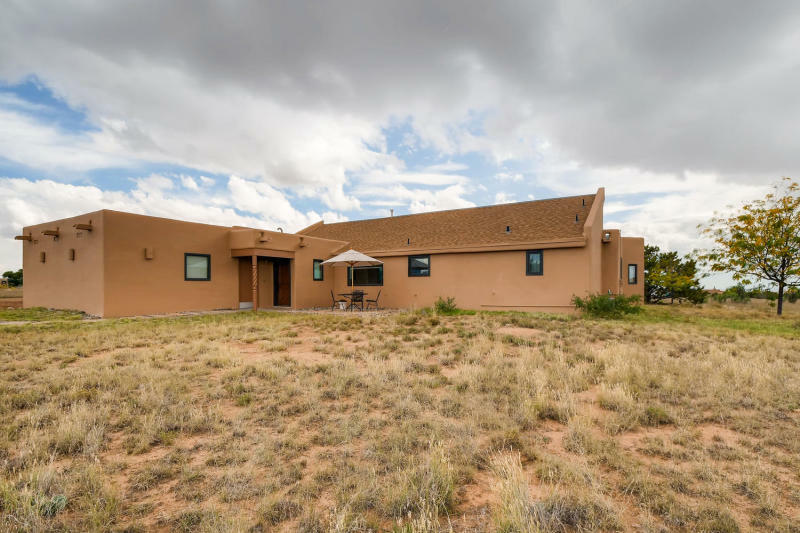 Located in the small village of Medanales just outside of Abiquiu, offers tranquility, glorious & expansive Views, all in a developed subdivision above an ancient arroyo. Oversized building envelope allows for construction of a dream home on a private outcropping of land separate from other houses nearby. Drive down the meandering, freshly graveled drive to view this special property! A one owner, Leif Backe built home in Eldorado, it has been beautifully maintained & designed with modern lifestyles in mind despite being built almost 30 years ago. 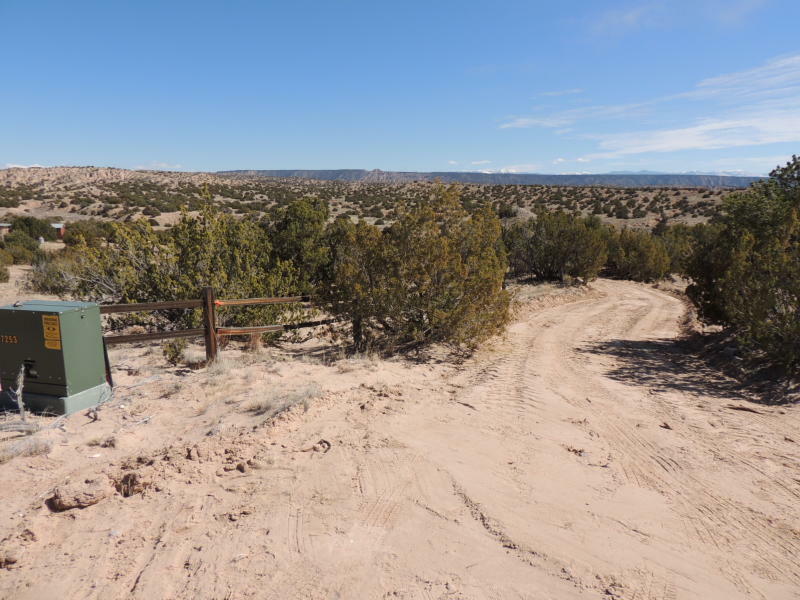 This absolutely stunning view lot, located off Palace Ave and La Vereda, is the perfect spot to build an authentic Santa Fe adobe home. 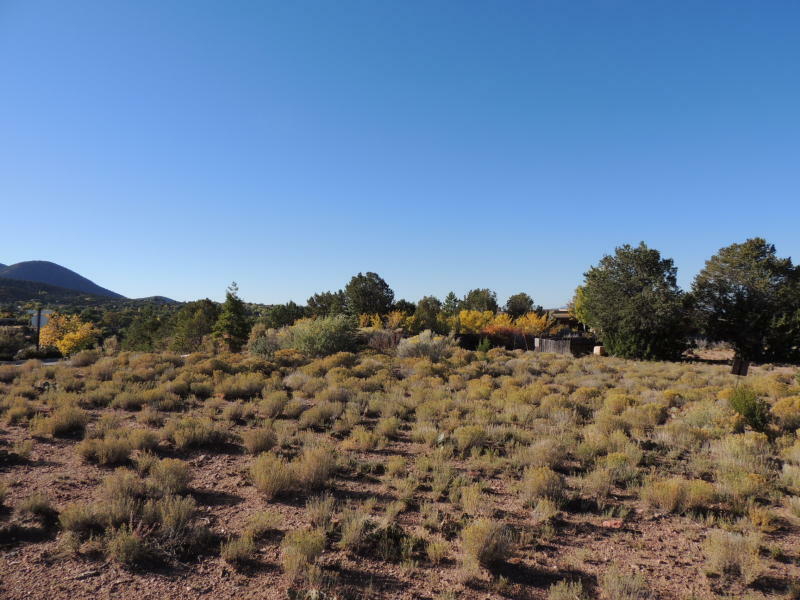 Situated in the quiet environs of the El Cerro Moreno subdivision, located at the apex of a hill top, this lot offers commanding views of close in hill sides, Sun Mountain, the open North West corridor and Jemez mtns, and the Sangres. SOLD! : Alameda Condos Luxury Property, Central Location! The Alameda Condominiums offers residents a comfortable, centrally located property easy for City Dwellers to call HOME. This spacious (1275 +/- sq ft), two bedroom, two full-bath condo has all of the modern amenities inside you would expect from a luxury property built only a few years ago: Upgraded cabinets, granite counter tops, slate flooring in entry, kitchen, and both baths. 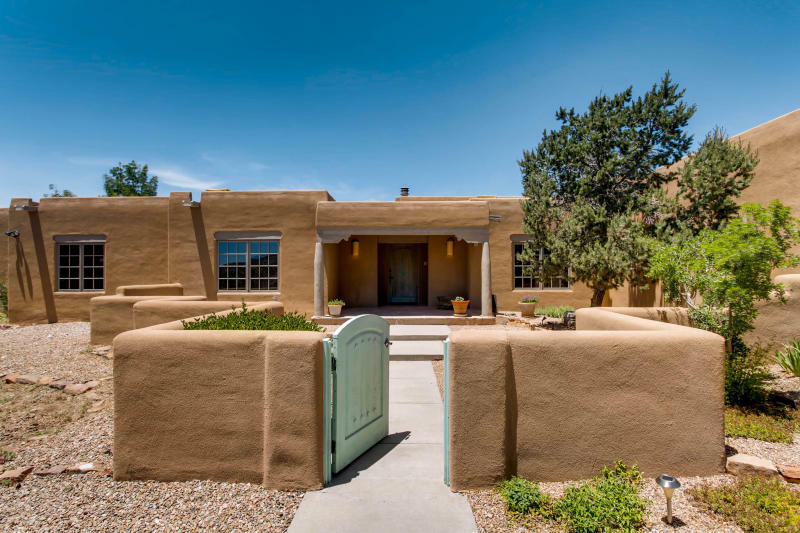 This Santa Fe Original Home has several new additions and is ready for new owners.From the 20th Century Santa Fe family who built and occupied the home for 65 years to the 2nd owner today, this home has been beautifully maintained. SOLD! 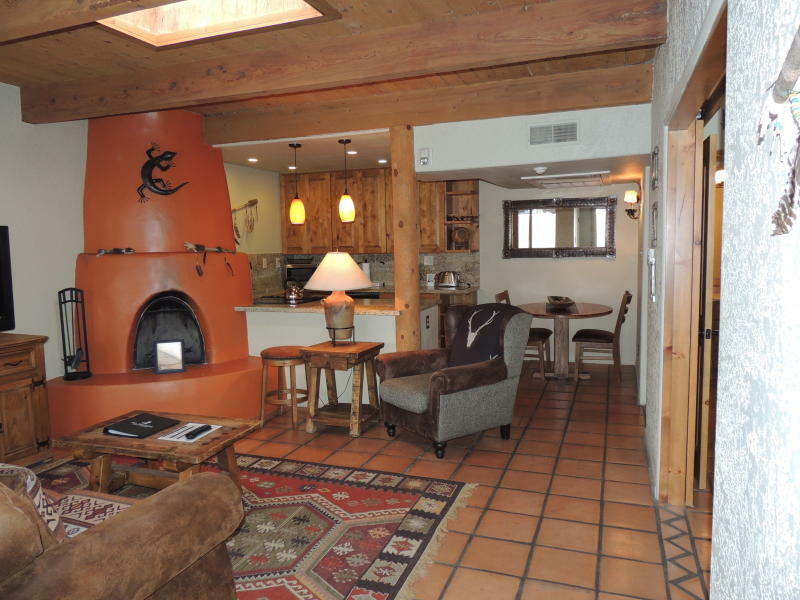 : Terrific Getaway or Turn Key Investment! Beautifully remodeled & updated Fort Marcy condominium with all of the bells and whistles: New tile flooring, new kitchen (custom cabinets, appliances, tile and granite kitchen features), remodeled bathroom with walk in shower, new mini Kiva fireplace, new custom solid wood doors, and windows. An award winning, beautiful contemporary home like this rarely comes on the market. Grand Hacienda winner of the 2006 Parade of Homes, designed by Robert Zachry and built by Hurlocker Homes, brings the best contemporary design elements together in one stunning, meticulously maintained residence. Features: Three bedrooms, three baths, glorious open kitchen, a spacious dining and living area with views, three fireplaces, and easy to maintain polished concrete flooring. Plant an indoor garden, enjoy the spacious deck out back, and relax in style in this beautifully & sensibly remodeled Stamm in Casa Solana. Open kitchen, living, dining rooms and oversized windows bring light and charm into this home. The kitchen has been remodeled and has gas cooking, almost new appliances, granite counters, custom island and cabinets - perfect for entertaining or making a delicious meal. SOLD! 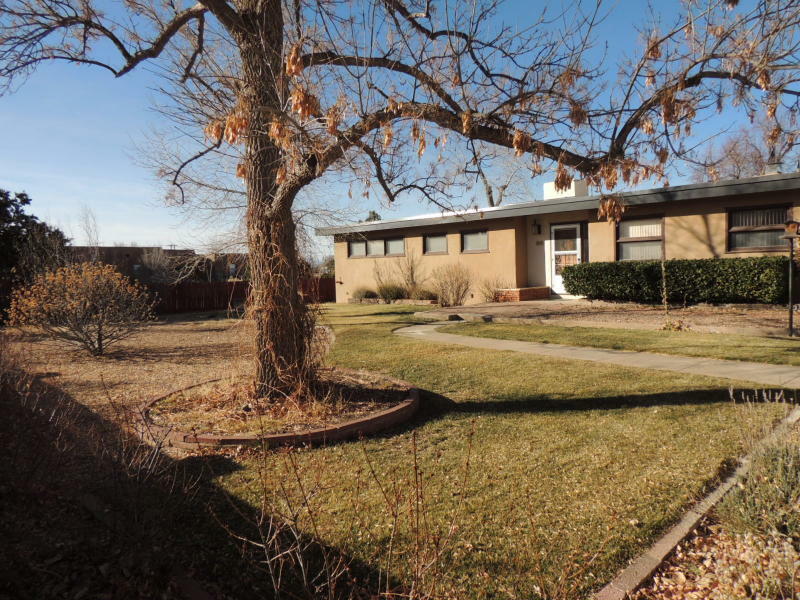 Northern NM Pitched Roof classic home in vibrant area of town! Darling Northern NM pitched roof home located just South of the Railyard. SOLD! 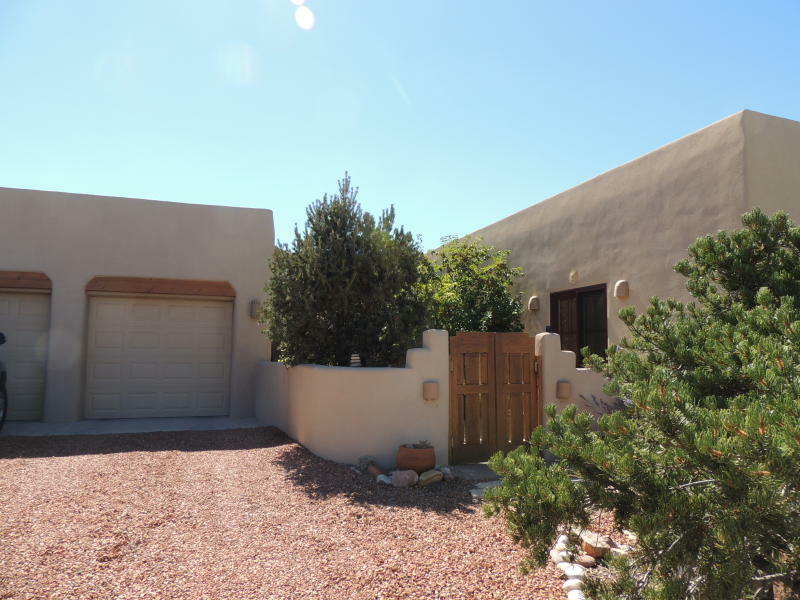 Beautiful Single Level Home- Rancho Viejo For Sale! 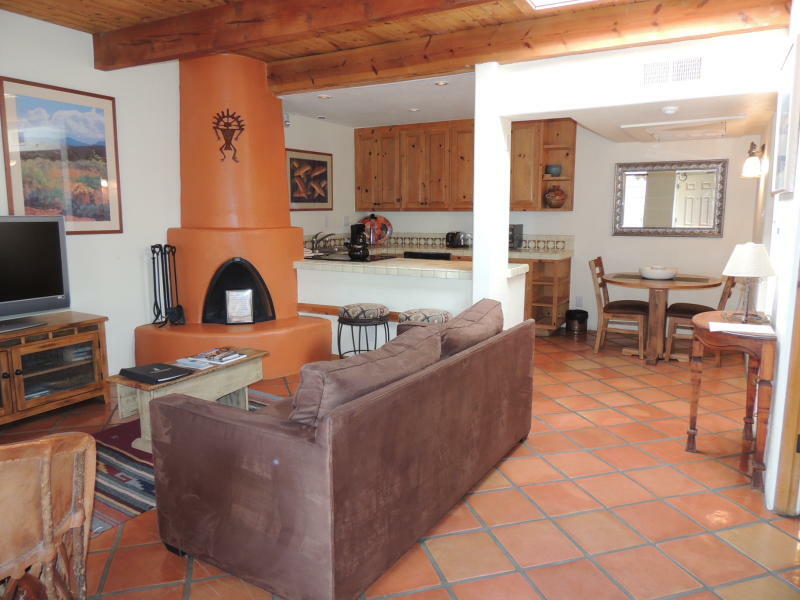 Lovely Rancho Viejo home on large lot with beautiful views. Single level floorplan with three bedrooms and a dedicated office, wood and tile flooring, evaporative cooling, and open concept living and dining areas. The kitchen has been upgraded with custom granite counter tops and dining bar; extra tall cabinets and top-rated appliances create a true chef's kitchen for entertaining and daily living. SOLD! 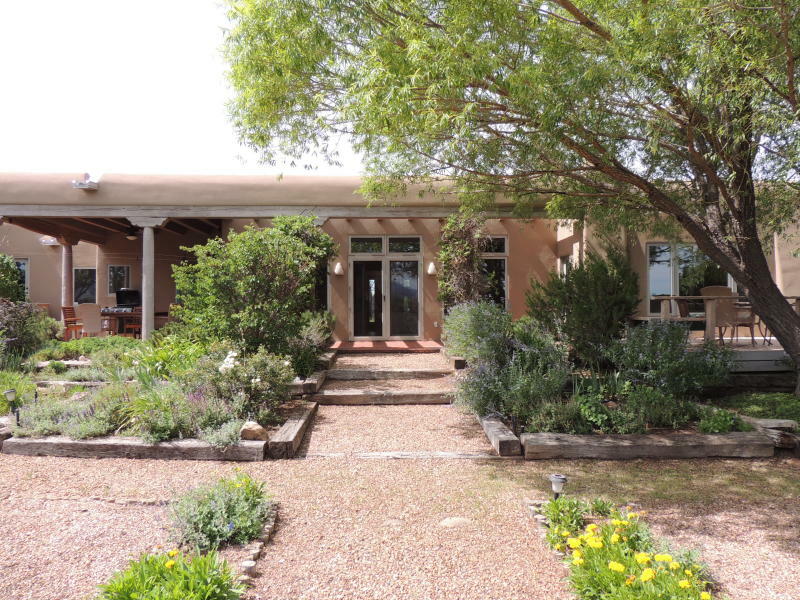 in Dos Griegos on Three+ acres! Meander down the gravel drive to this beautiful home nestled among the trees and grasses of the Dos Griegos subdivision. First time on the market, this single level beauty has been meticulously maintained and offers all of the amenities buyers are looking for: Flexible 4 bedroom split floorplan, large open rooms, light washed wood throughout, custom cedar doors, private walled-in outdoor spaces, and views of the hillsides from almost every room. SOLD! Original - it's hard to find these days. 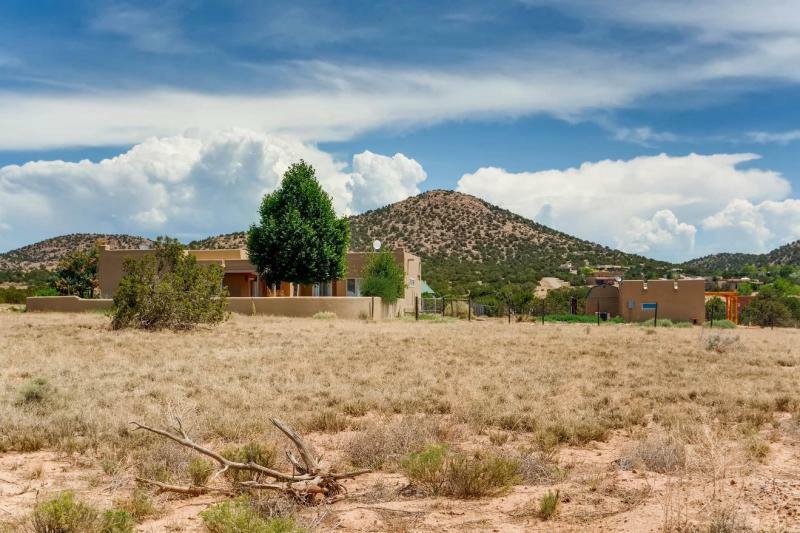 This one family ownership property offers buyers an opportunity to own a piece of Santa Fe as it was before the internet, before the first burning of Zozobra, before cars. The main house was constructed more than 150 years ago - mostly adobe, with curving thick walls, large rooms. The additional house was completed in the late 1980s and offers more modern amenities. SOLD! 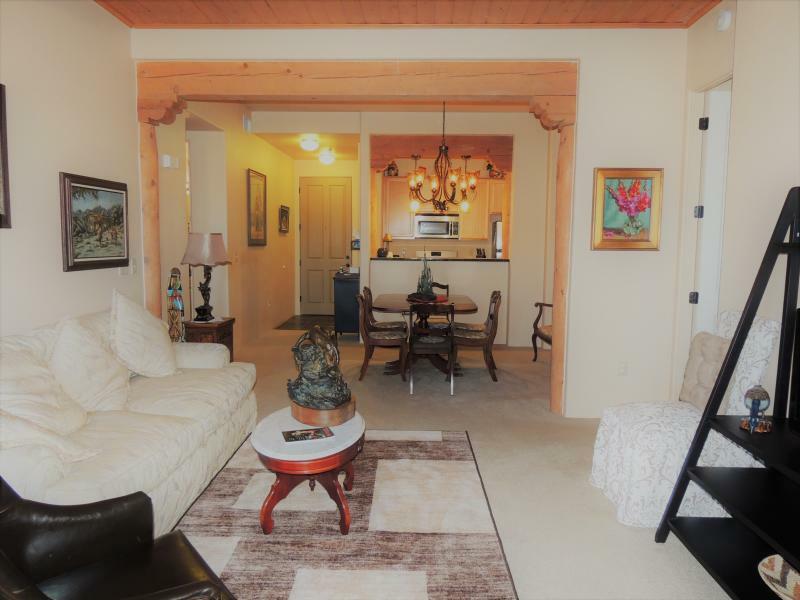 Downtown Santa Fe condo, 5 blocks to Plaza! 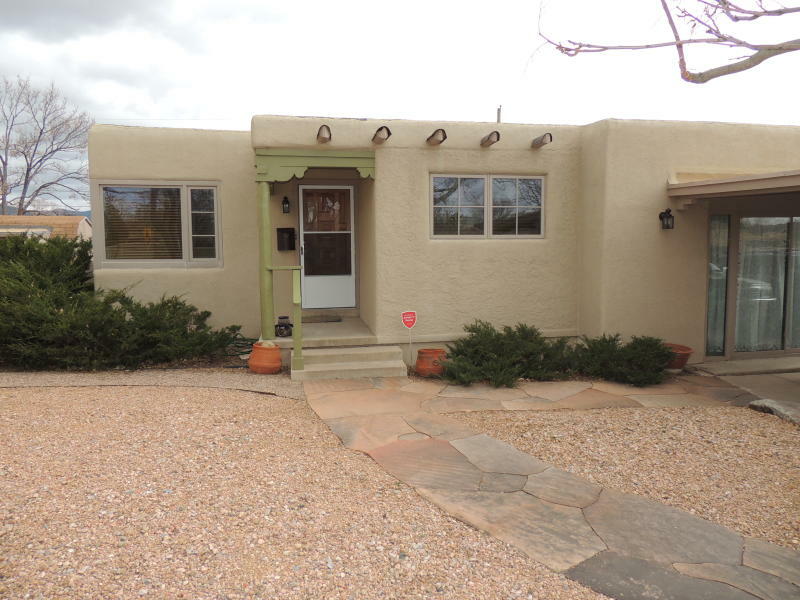 Fabulous Vacation Rental opportunity in Downtown Santa Fe! 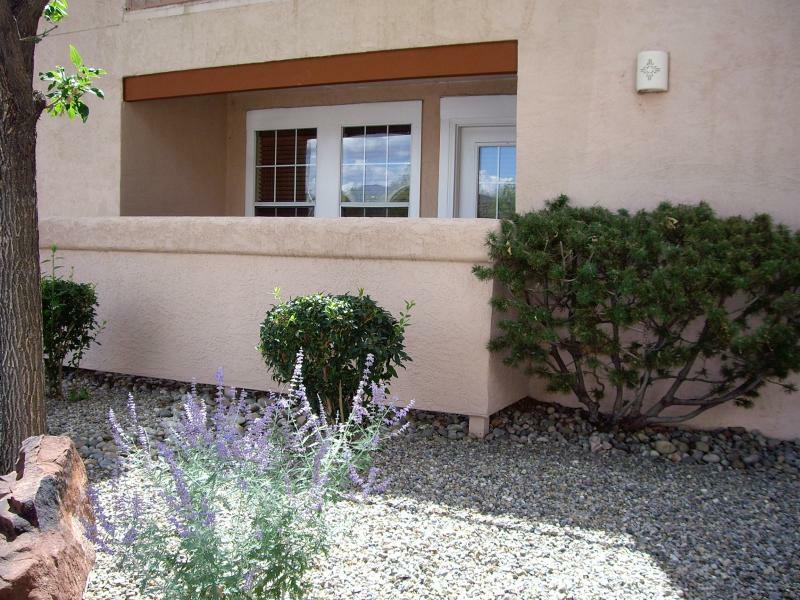 This spacious two bedroom condominium is located mere blocks from the Santa Fe Plaza area and has tremendous rental income potential. 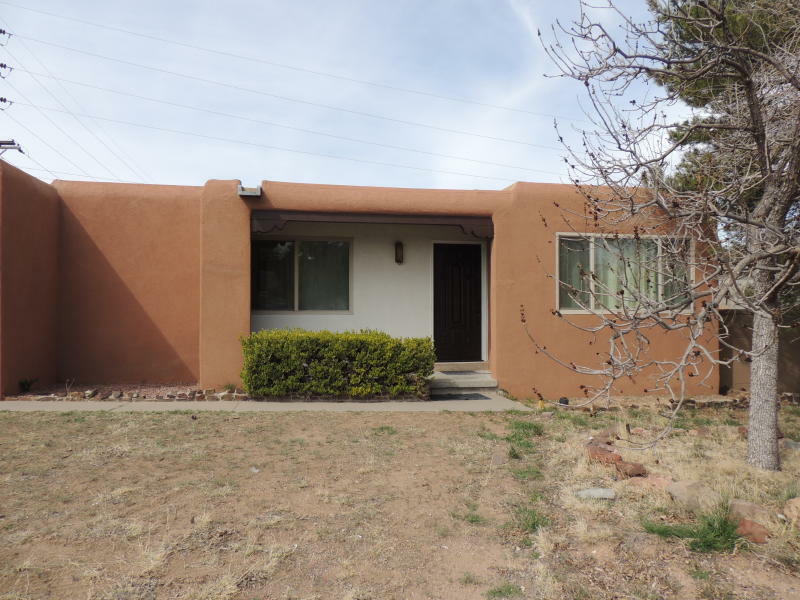 Partially remodeled, the property has two large bedrooms, 2 1/2 baths, kiva fireplace, AC, and an updated kitchen. 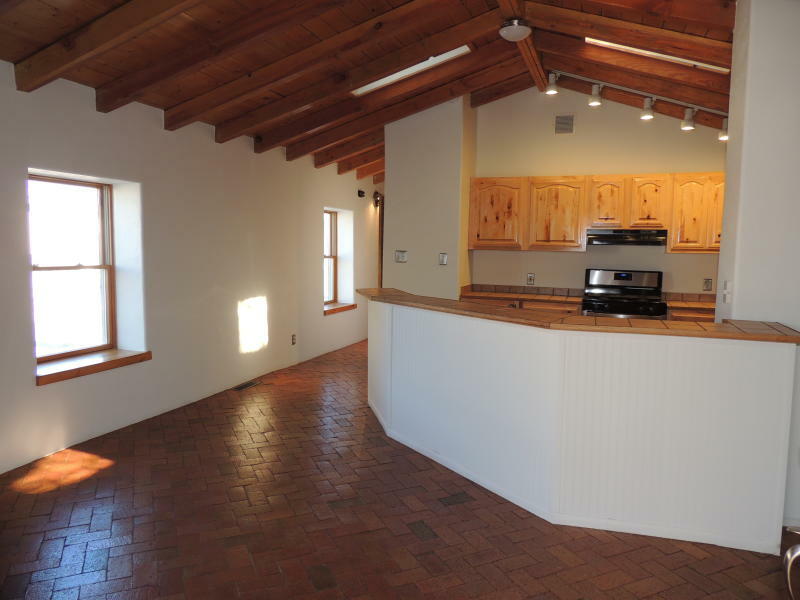 Updates include: Opened kitchen/dining area, freshly painted, newer windows, bathroom vanities. 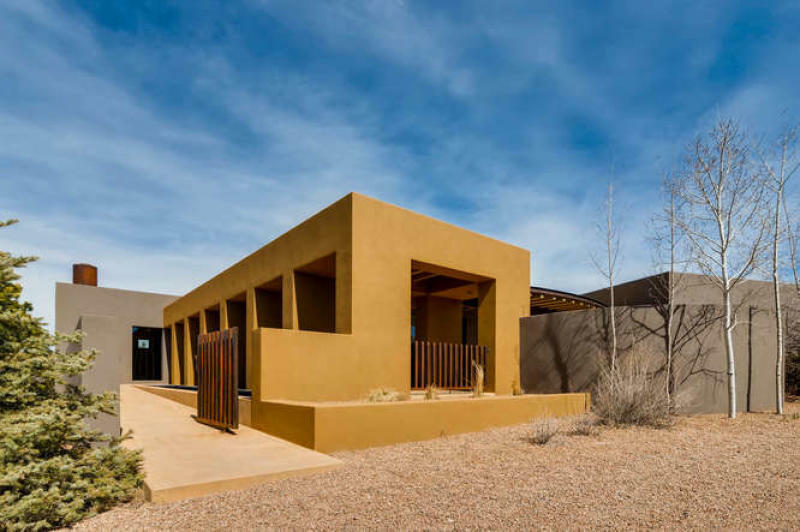 In the original co-housing community The Commons on the Alameda, this beautiful residence has many Santa Fe style features including beams, hand troweled plastered walls, and substantial pumice-crete construction giving sensuous curves and angles to every room. Natural light abounds inside and a private patio offers a quiet, enclosed garden space for entertaining and relaxing. Three bedrooms, separate dining/living rooms along with a designated office space. SOLD! Darling home, Move-in ready: Listed below $250k! This pristine Centex home has all of the features your buyers are looking for: Single level, 2 car garage, oversized & enclosed backyard, 3 bedrooms, two full baths, and an open concept kitchen, living, and dining area. SOLD! Investment Opportunity, Tenant in Place! Investor Buyer? Want to generate rental income? This is the Property for You! 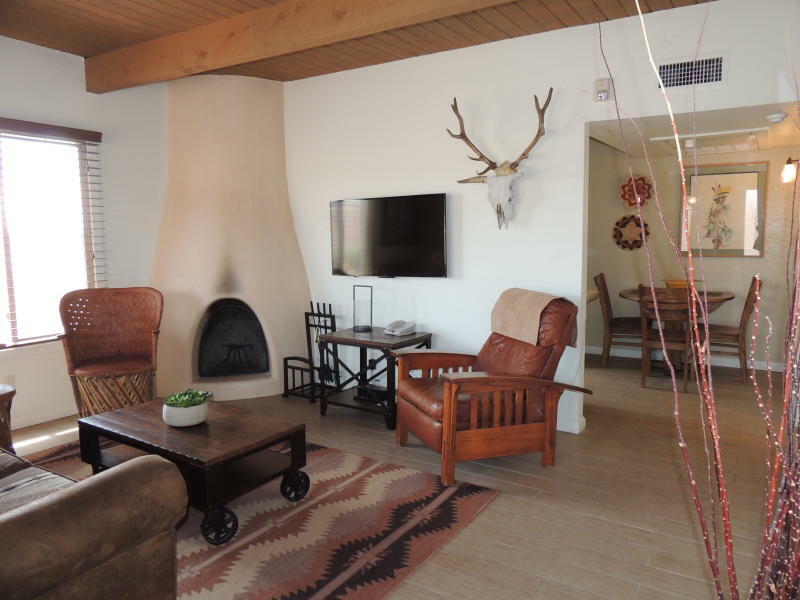 The largest floorplan at Zia Vista condos, this property has 2 bedrooms (split), all tile flooring, large walk in closets, wood burning fireplace in the cozy living room, 2 full baths, and a private patio. SOLD! Country living, Three Acres of Trees! Meander down a curving gravel driveway to this home surrounded by trees and open space. 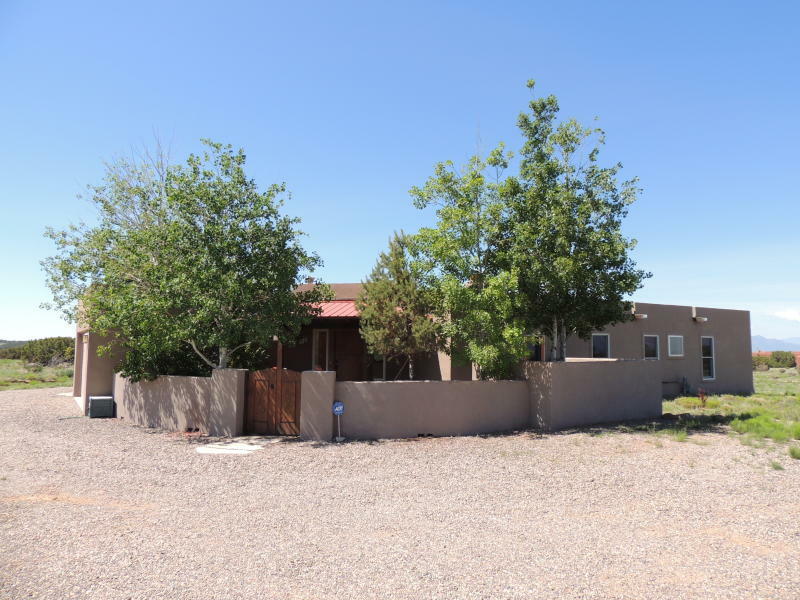 Located in Old Pecos Trail Estates, this beautifully maintained home has been recently upgraded to include: Brand New Stucco, backyard fencing, completely graveled driveway, roof maintenance with warranty, new tile & and carpet (most areas) and appliances. SOLD! Darling Townhouse, Close to Town! Located on a quiet cul de sac in Barrio la Canada neighborhood, this darling townhouse has been lovingly updated and maintained. With an open kitchen, dining area and spacious living room, you will enjoy entertaining friends and family. Vibrant & happy colors on the walls add to the coziness of the rooms; natural light is in abundance with oversized windows in the living area and upstairs. An inviting loft space can be used as a media room, office, or contemplative area. SOLD! Nava Ade - Four Bedrooms! 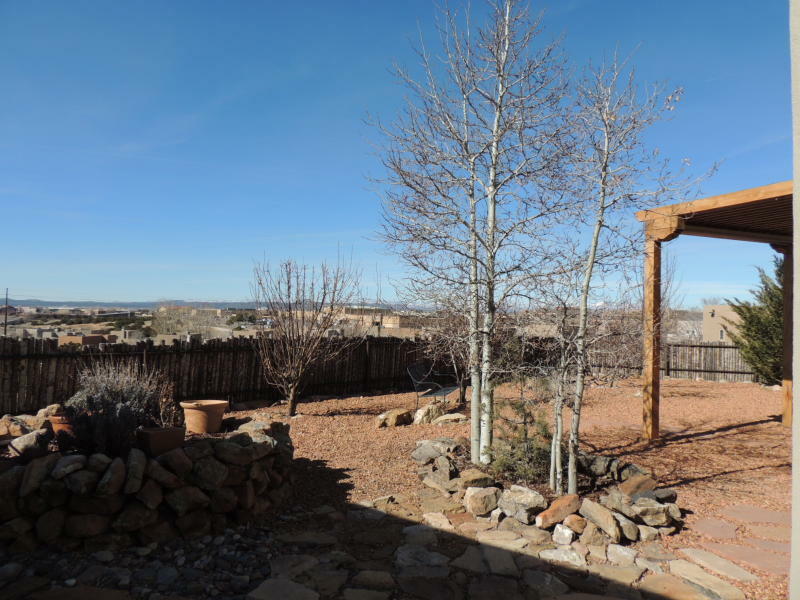 Terrific home in Nava Ade with all of the bells and whistles! Single Level, Four Bedrooms, A/C, beautifully & sensibly landscaped, an enclosed capacious back yard with SW views. All of this on one of the largest lots in Nava Ade (0.25 acres) and located on a quiet cul de sac with a large peach tree in the front. Ample room in the house to have a home office and entertain friends and family. The backyard has a perfectly sized portal and low maintenance gravel-scape with apple and cherry trees creating an atmosphere which encourages outdoor grilling while watching the sunset every evening. 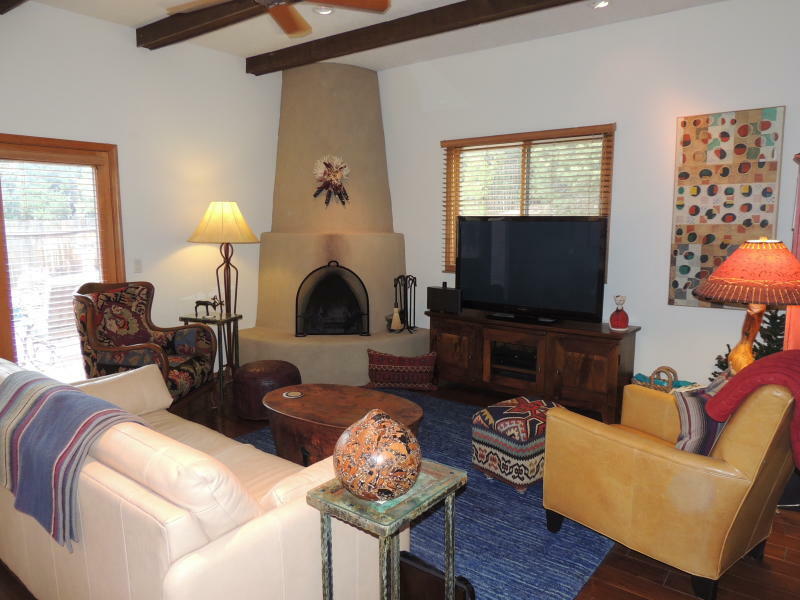 SOLD - A Santa Fe Classic: In town, on more than 1 acre, 4 bedrooms! 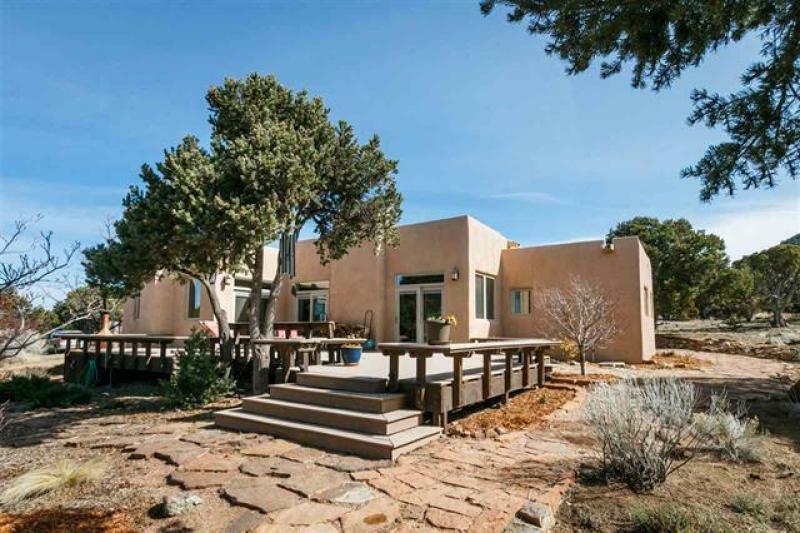 A Santa Fe Original - one family ownership, never before on the market. 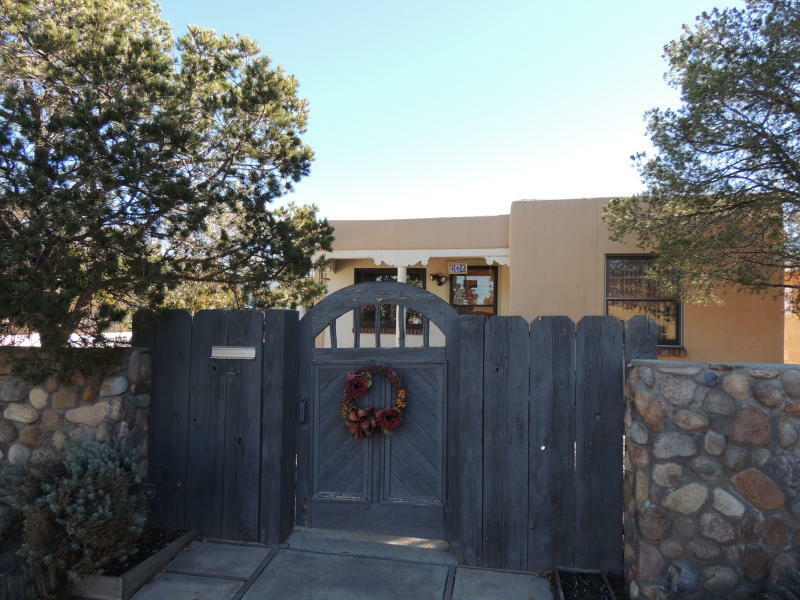 This charming home boasts hardwood flooring in most areas, oversized windows that bring in lots of natural light, a true front yard, two car garage & a two car carport, large bedrooms, an attached apartment with full kitchen and bath, all on more than 1 acre in the heart of Santa Fe! SOLD: Terrific Getaway or Turn Key Investment! This immaculate, End Unit condo located a short distance to the Plaza has it all: Completely remodeled kitchen, bath, bedroom, and living areas, easy access from parking, and a fireplace make this a cozy retreat in the heart of Downtown. SOLD! - Downtown & Fully Furnished! 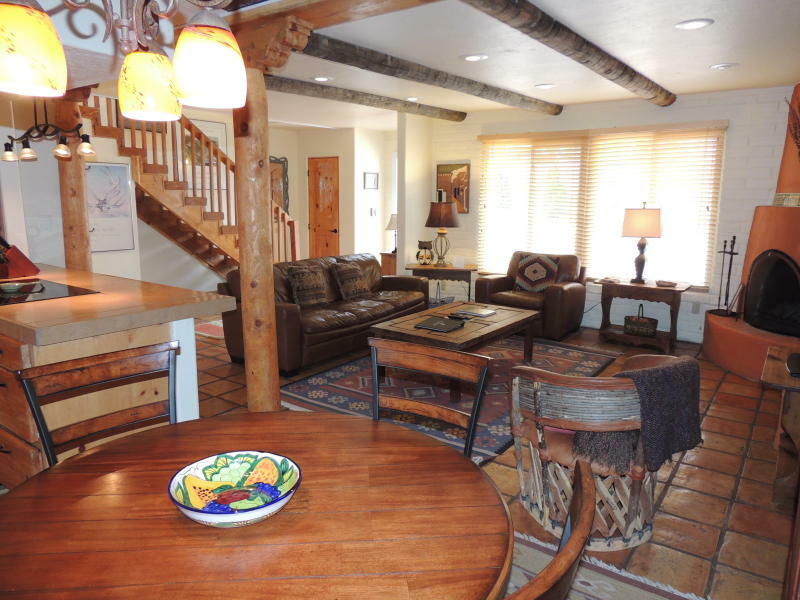 Do you desire a vacation rental property located just blocks from the Santa Fe Plaza? Want to live Downtown? Completely remodeled condo at Fort Marcy, single level, with custom built deck accessed through French doors off the master bedroom suite. Upgrades include: Custom cabinetry & doors, tile flooring, appliances, bathrooms with walk in showers, slate facing on fireplace, and lovely furnishings. complete this Santa Fe Style gem! Washer and dryer, spacious (locking) owner's closet. The vast deck space offers room for table and chairs to relax & enjoy East mountain or Sunset views - the only deck of its kind at Fort Marcy. SOLD! - Beautiful finishes, views & landscaping Enter through the garden gate and experience an oasis: Gorgeous landscaping, views, and a gently curving pathway lead you to the double entry front doors of this elegantly appointed home. There are three spacious bedrooms, an office/media room with a closet, generously proportioned gourmet kitchen, and a delightful open floorplan. Evaporative cooling, Three Car Garage. Plenty of skylights and large windows bring natural light indoors. 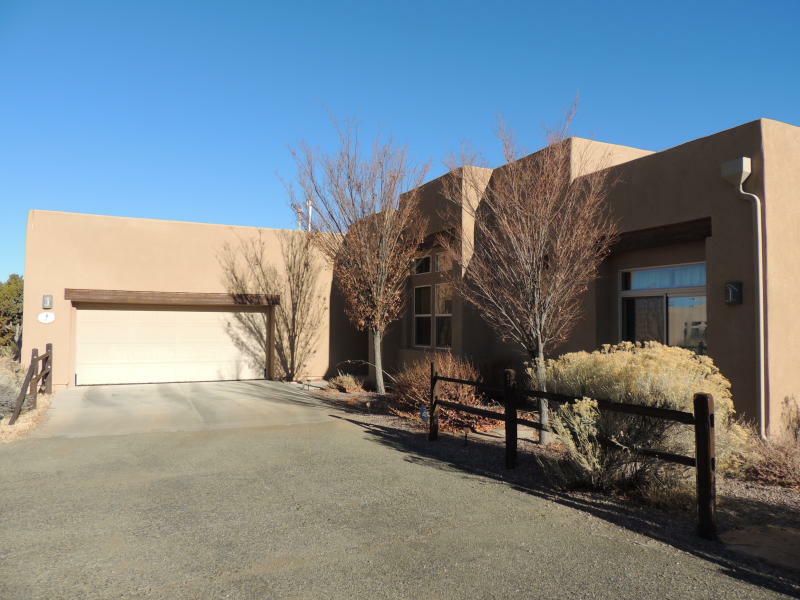 This lovely custom built home, completed in 2005, has what your buyers are looking for in Eldorado: Single level, open floor plan, views, an oversized modern & sensible kitchen, separate dining area, tile flooring, Evaporative Cooling, and a THREE car garage. 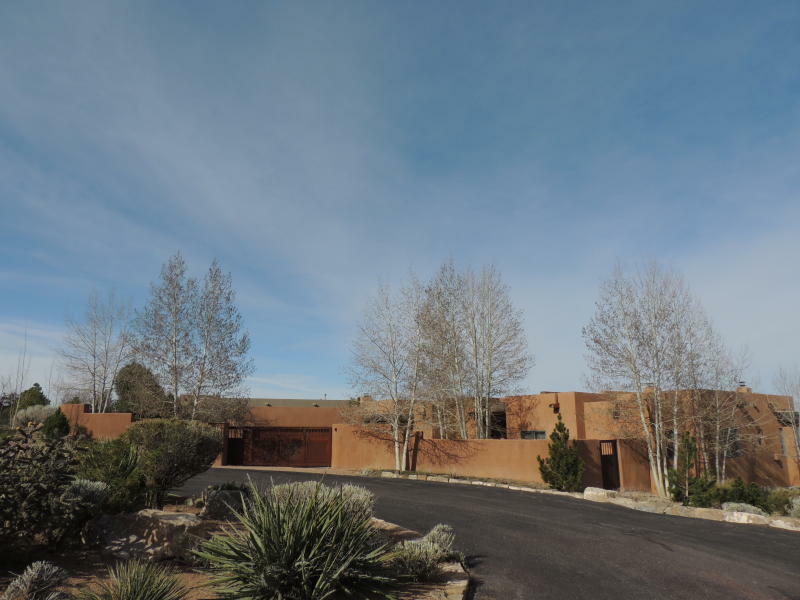 Santa Fe touches include 2 kiva fireplaces, T & G ceilings in living, dining, kitchen, and master bedroom, and lots of skylights to let in light from the warm New Mexican sun. Extra room with exterior entrance off Master bdrm - could be an office! SOLD! Downtown & Fully Furnished! Fancy living down a charming lane? In town condo with all of the amenities of a townhouse! This darling, freestanding condo, built in 2008, has wonderful modern features such as refrigerated AC, cooks kitchen, plaster walls, brick & hardwood flooring. Two ensuite bedrooms have large walk in closets; a balcony off the Master offers a quiet place to nestle in with a book. Travel down a gently curving driveway to this hidden jewel at the base of a mountain. Surrounded by trees offering privacy in a quiet enclosed community just minutes from town, this light filled home invites you in to settle down and relax. 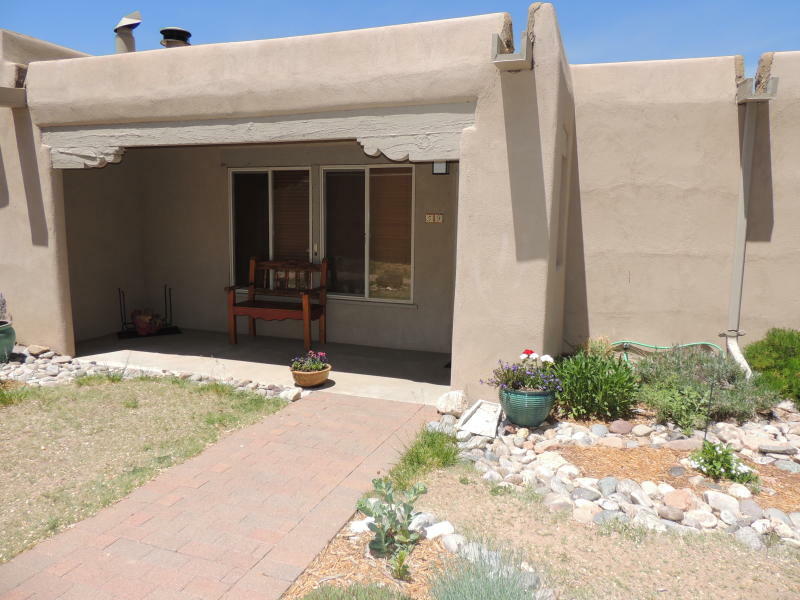 Located in Old Pecos Trail Estates, the home has a newly remodeled kitchen, new stucco, wood and tile flooring throughout, single level floorplan, and a new Brai roof with a 10 year warranty. 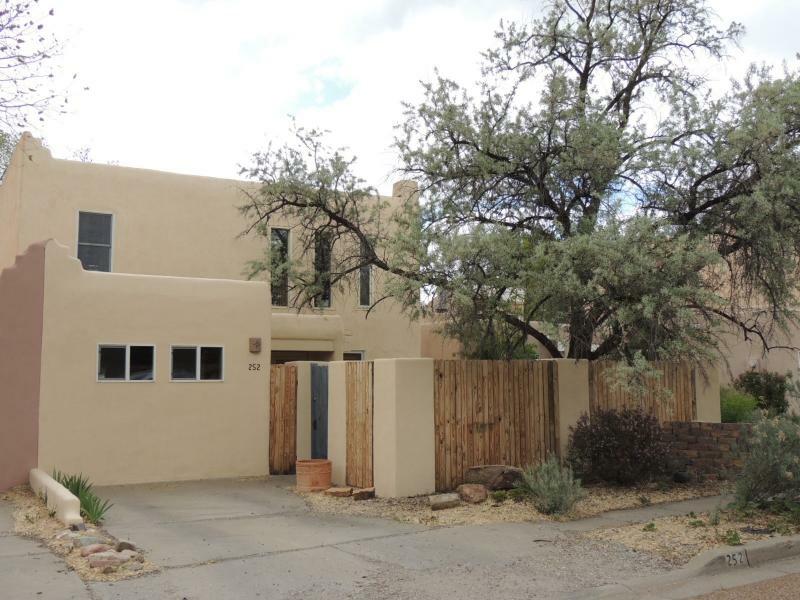 FANTASTIC OPPORTUNITY TO OWN IN DOWNTOWN SANTA FE! 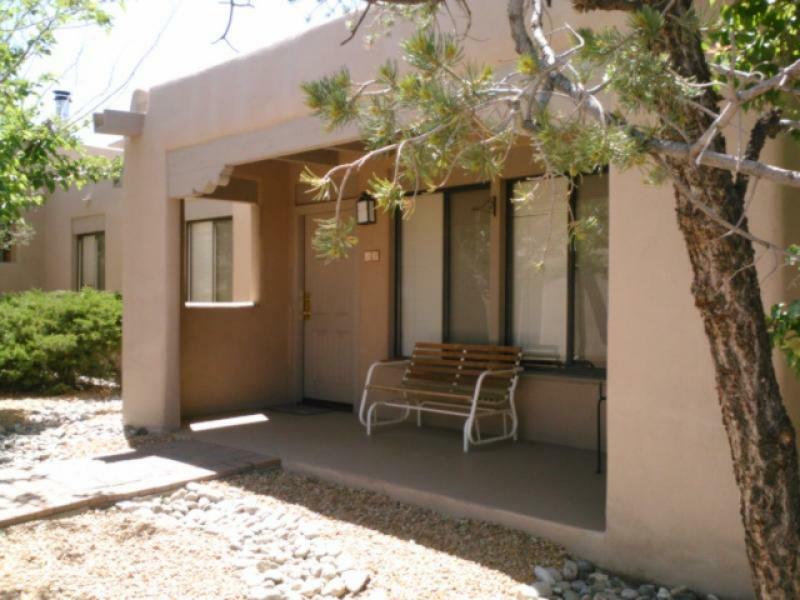 Super darling 1 bedroom condo in the heart of Santa Fe, Corner location, with easy access, ready for your personal touch. Tile and carpet flooring, no interior steps, close to off street parking lot. First Time on the Market: Original Owners! 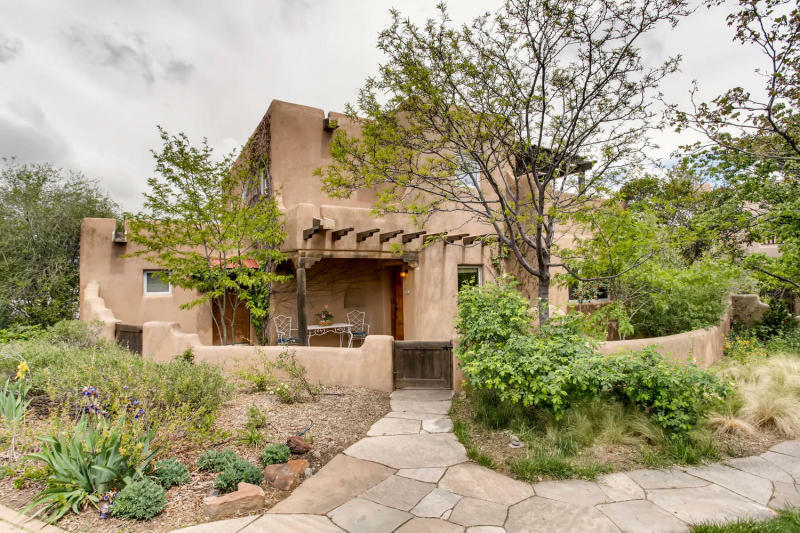 This pristine Stamm built home in Casa Solana offers a bit of Santa Fe's architectural heritage with all of the modern amenities desired by savvy buyers. Terrific upgrades include: new windows, HVAC system with refrigerated AC, new roof with warranty, two room additions, kitchen appliances & countertops, plus a spacious single car garage. This Beautiful, single level, custom built Dressel home has all of the amenities: All brick flooring, radiant heat, evap Cooling, Sleek kitchen finishes, and VIEWS! 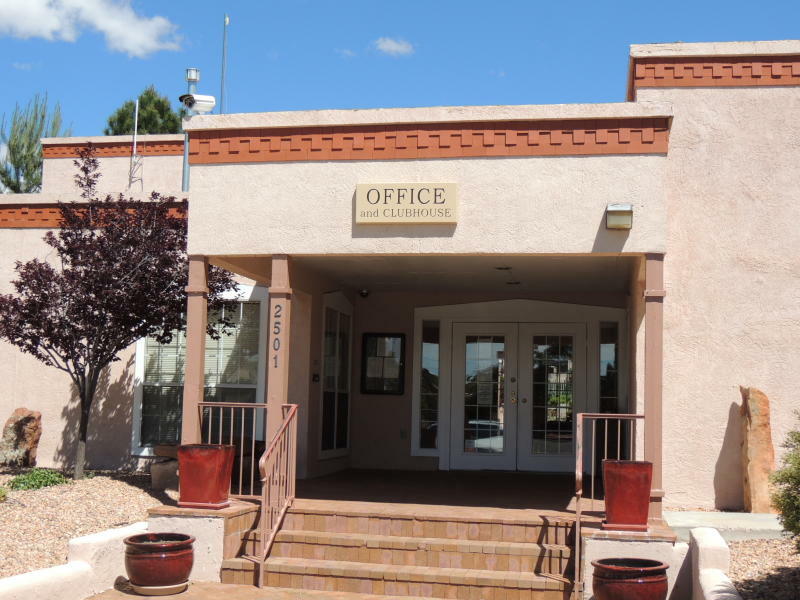 Darling 1 bedroom condo, Corner location, with easy access, upgraded interior (new tile flooring, bathroom completely remodeled). All of the conveniences of Eldorado with the space & privacy of 3 + acres! 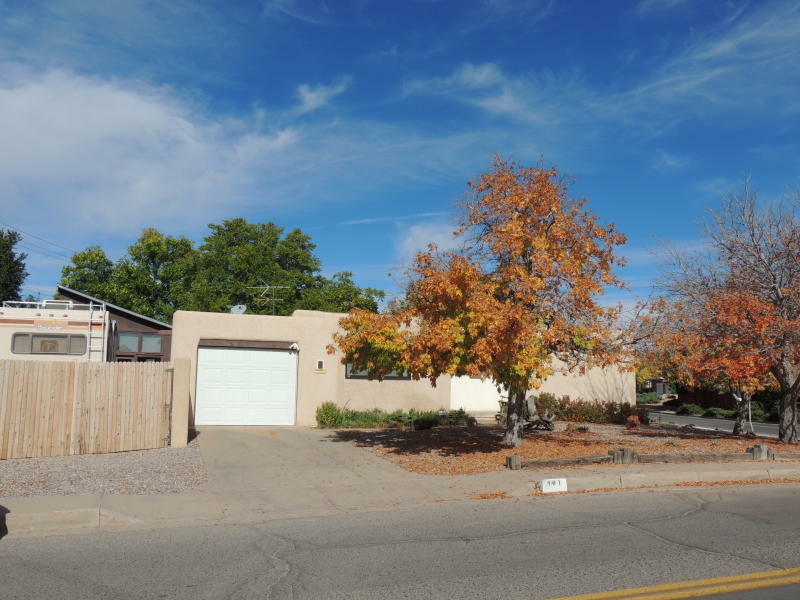 FANTASTIC INVESTMENT OPPORTUNITY: OWN IN DOWNTOWN SANTA FE! Beautifully remodeled Fort Marcy Condo - FABULOUS VIEWS & TERRIFIC RENTAL INCOME ($35K Gross Rental Income, 2014!). Aldea Beauty! 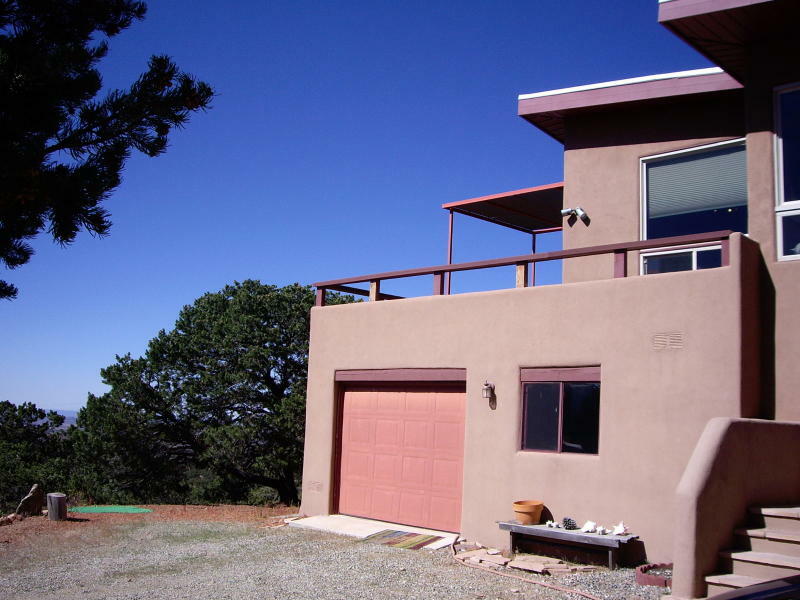 Lovely home with an expansive and fabulous deck/portal to view the gorgeous Santa Fe Sunset. 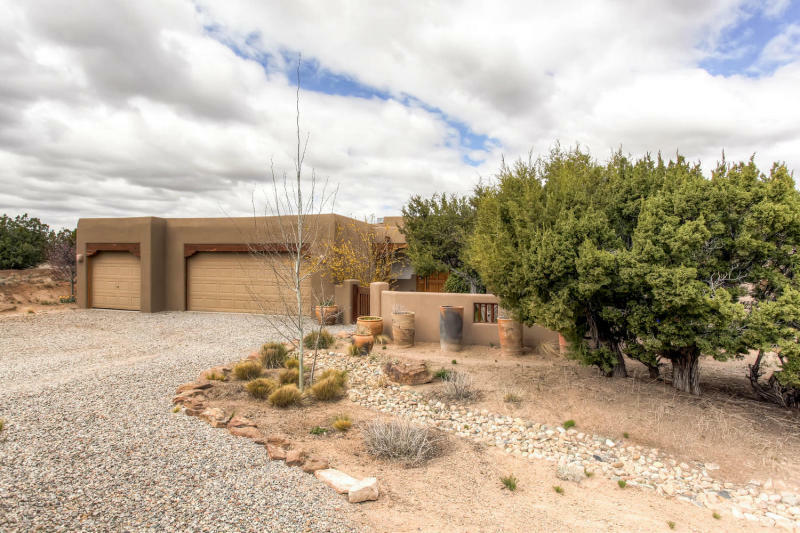 Spacious single level home in Aldea with tile flooring throughout, wood flooring in master bedroom, radiant heating, plaster walls, no interior steps, natural light, and a functional split floorplan that offers roomy entertaining space and privacy. 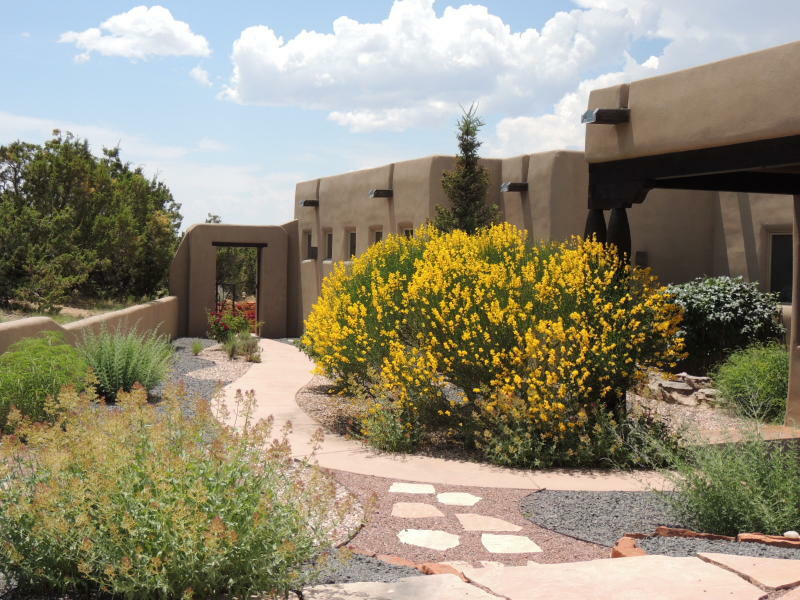 See more about Listing at SantaFeRealEstate.com! SOLD! UNDER CONTRACT-in just 2 Days! Spectacular views, Gorgeous home with lots of sunlight! 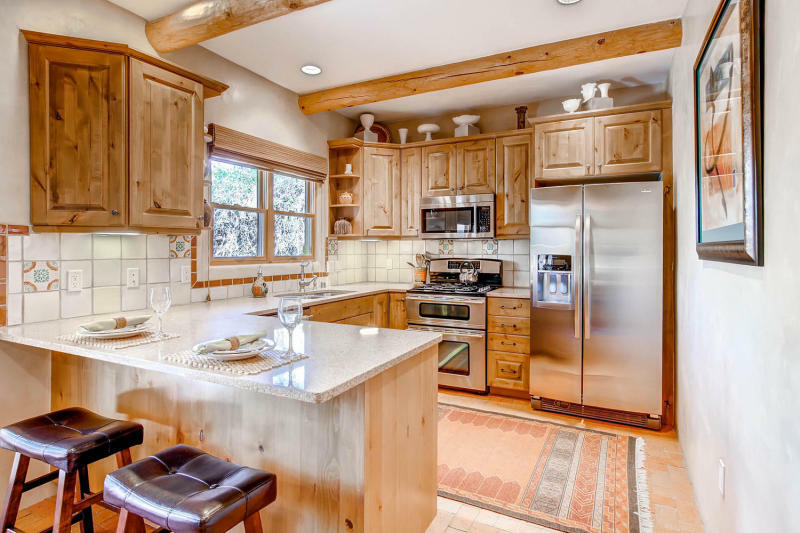 This home in the mountains offers top of the city and mountain views, a split level floorplan, Cook's kitchen, wrap-around view deck, and heated studio. Privacy, lots of storage space, single car garage, hardwood and concrete flooring. Gas stove in living and Southern exposure offer a cozy environment in Winter. Darling single level home with tile & hardwood flooring, refrigerated AC, many upgrades, and two car detached garage in Nava Ade. New stainless kitchen sink, wine cooler, and newer oven/stove, refrigerator & microwave. This home has a lot of natural light, fully enclosed back yard, landscaped with native plants and 2 peach, 2 apple, 1 cherry trees, and active grape vines! 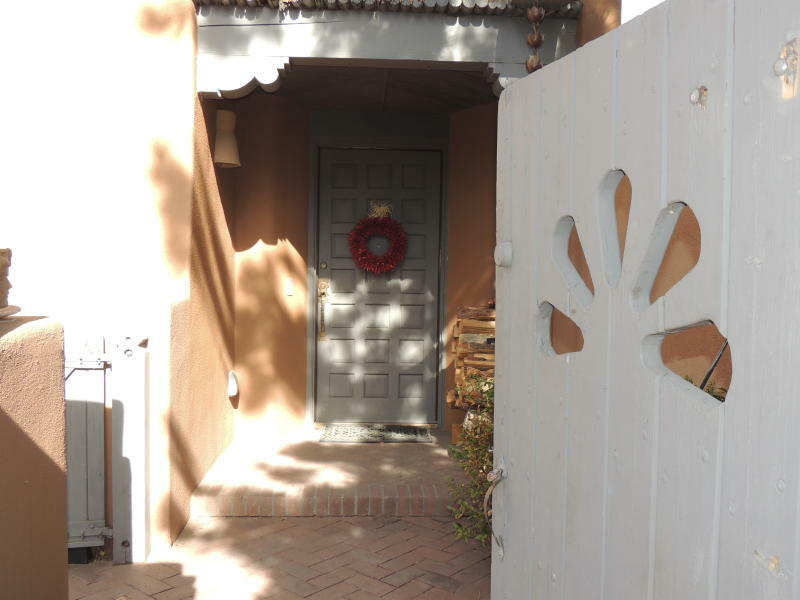 FANTASTIC OPPORTUNITY TO OWN IN DOWNTOWN SANTA FE! 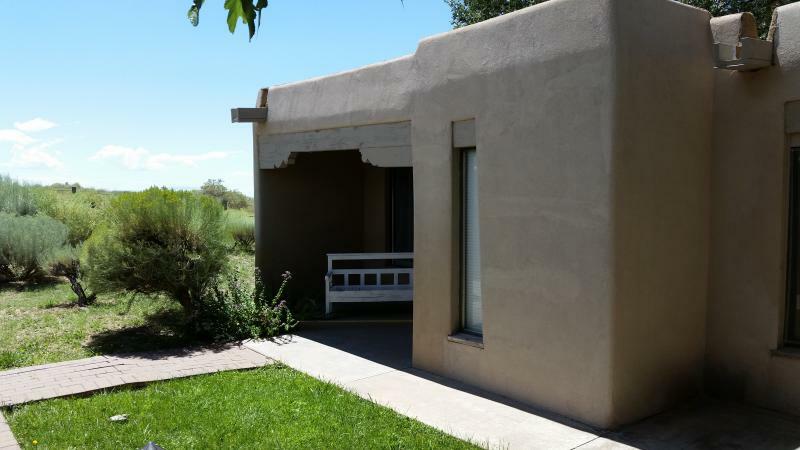 This delightful Fort Marcy condo is located in the heart of Santa Fe just blocks from the Historic Plaza. Flexible usage - purchase as an investment and use as a Vacation rental (on-site management available) or occupy full or part time. Washer/Dryer inside condo. 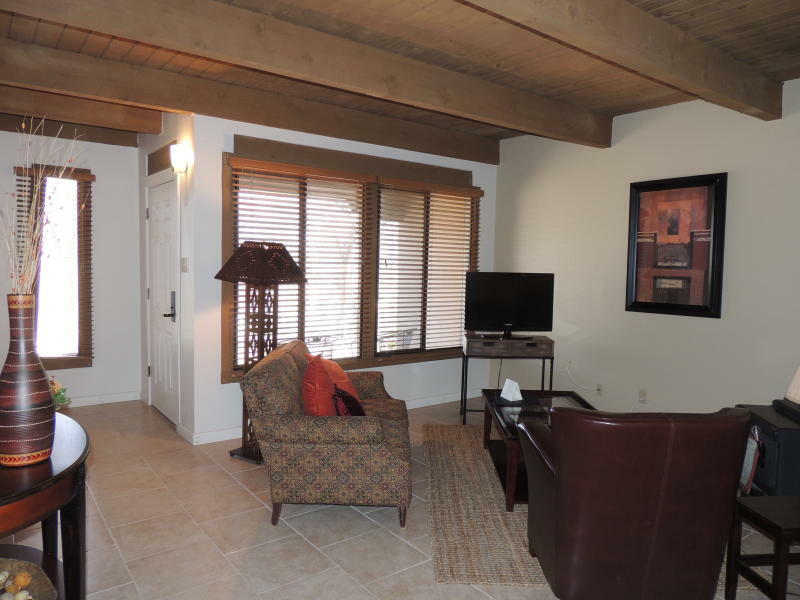 Condo with all of the amenities: Ground level unit with easy access to parking, pool area, front office. This darling condo has everything - 2 spacious bedrooms with large closets, 2 full baths, cute dining area, living room with fireplace, and a sweet patio. Investment opportunity (rental history with private property management $1250/month) or use as a convenient full time or part time residence.